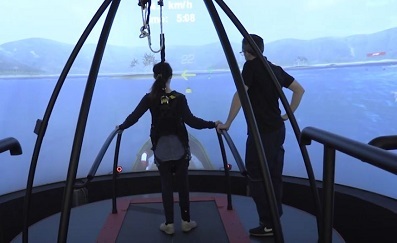 The Brain and Spinal Injury Centre (BASIC) have been using Motek‘s Computer Assisted Rehabilitation Environment (CAREN) as part of their virtual reality (VR) rehabilitation program for children and young adults. In the YouTube video below, you can hear the story of Sophie who had a minor stroke in 2010. This caused paralysis on one side of her body, and Sophie has been using the CAREN system at BASIC to learn how to use the paralysed side much more effectively. This has helped Sophie improve her balance and reduce her risk of tripping and falling.